Oh No!! Something is chewing on my Cleome and I have lost one bush already! What can this be? Chris, I know that you lost your Impatiens to cutworm – could this be the same thing? 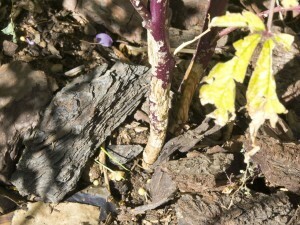 I hope it is not that dreaded Stem Borer Beetle that is now attacking other plants in my garden. 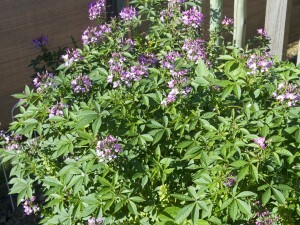 The Cleome is in a patch near the Fig and Guava tree. I will not spray any pesticide so I will have to tackle this by removing the pest by hand. This looks more like something is chewing, not boring – but the adult beetle chews. The leaves are also all chomped up and have turned yellow. This all seemed to have happened recently. The rest of my Cleome patch is looking healthy and happy and I can’t see any damage on the rest of them. I will keep you posted on what the pesky thing is that is eating my plants. My ones flopped Barbs – all 5 of them look grotty – nothing like the ones I bought last year. Maybe they will recuperate or maybe they were a bad batch. That’s too bad! Cleomes are so unique! They’re good cut flowers, but some people are sensitive to the smell. I hope you can find out what’s wrong so you can replant them. Me too. It looks like the next one is being attacked.!! Oh my, that is awful news. I hope you find the culprit very soon. 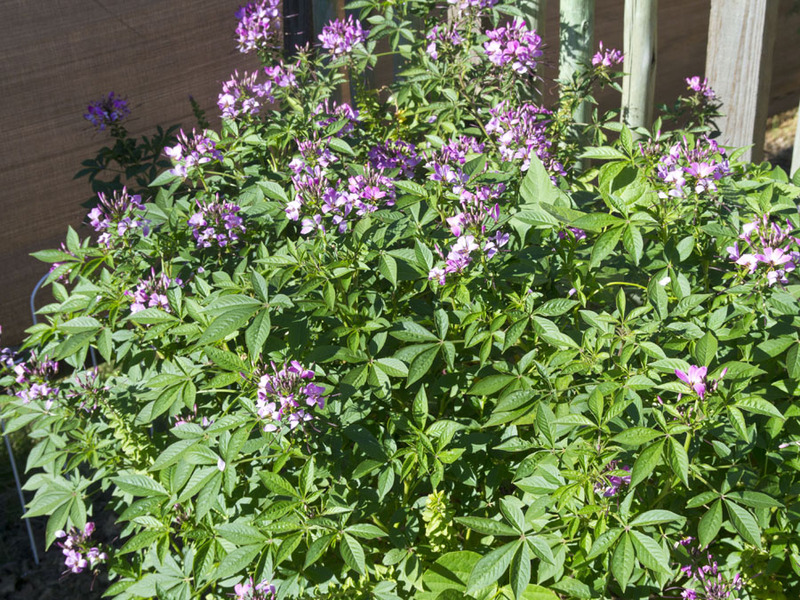 I am not sure what munches on cleome as I do not have them in my garden…yet. Good luck! 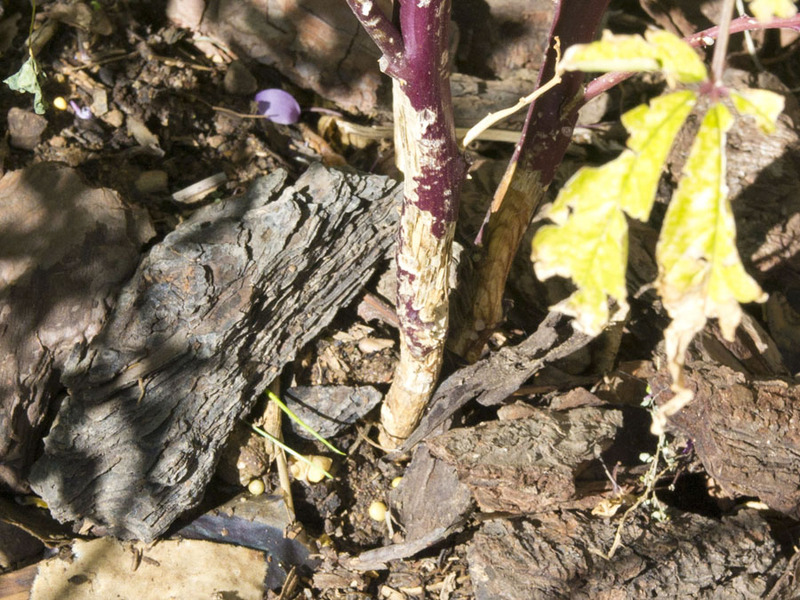 I was going to say: those cleome stems must be pretty woody this late in the season — and your photos prove it. You might want to take a look with a flashlight at night (or in the early evening or early morning) to see if anything is chomping away. I’d be surprised if it’s a worm, as they typically like softer, greener stems. I thought the same thing. I went out with my flashlight (us gardeners can be abit over protective!) and found nothing in the ground. 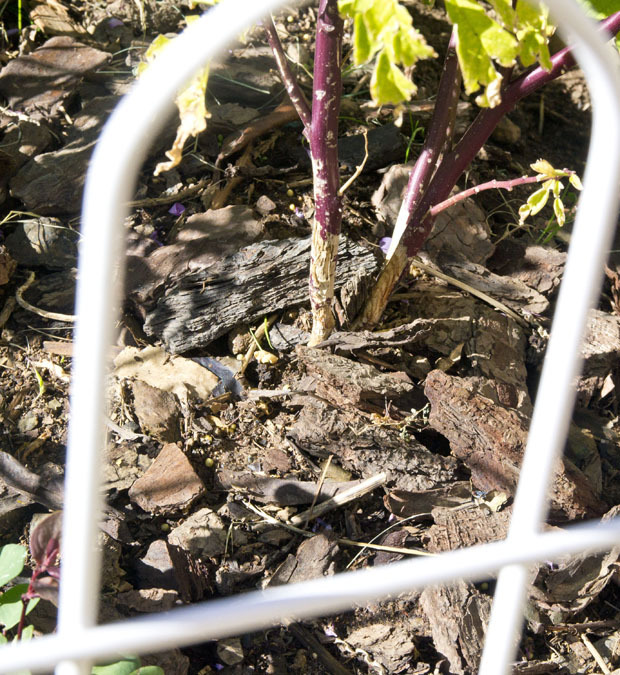 I did, however, dig out the dead one and the chewed stem went right down to the roots …… hhmmmmm!! This can’t be a mouse or other rodent! It must come from under-ground!